Who said you can't wear orange? 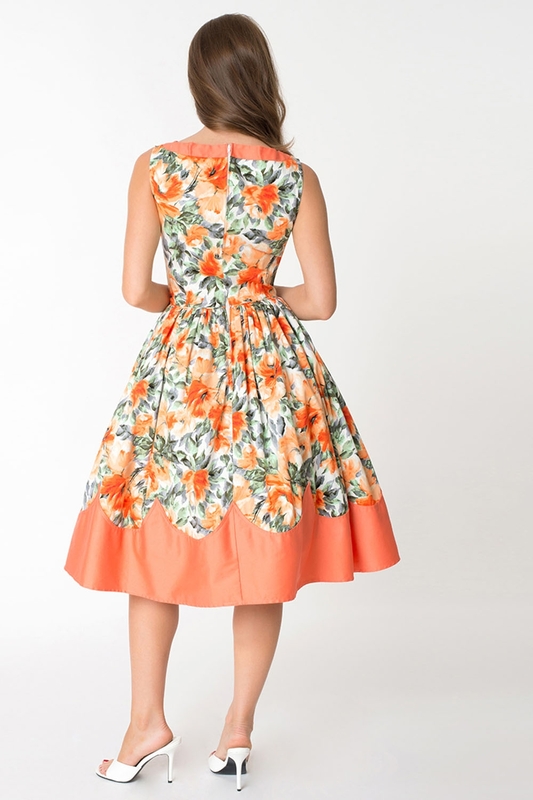 This floral swing dress from Unique Vintage is a zesty dream, in a lightweight fabric with coral orange floral prints. The neckline and skirt are finished with a flash of orange in all its glory and with a structured bodice we can guarantee the Detroit Swing Dress will only bring you joy!